Falling in love can be a bewitch. A delightful mix of magic and romance with a twist of suspense enjoyed by all ages. "I've come to love her writing. She putsjust the right amount or humor, drama, and action in, with a beautifulparanormal storyline and strong plot. Breathtaking romances." "This book is a fastpaced adventure that hooks you in and keeps you reading... cannot wait to read more." 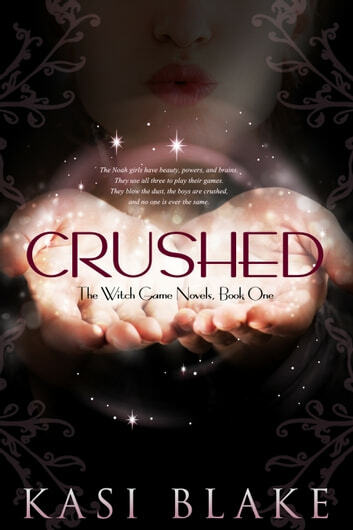 "Overall, Crushed is a quick and interesting read..."
"I am LOVING this book! The alternating POVs between the two main protagonists hooked me on this story almost immediately..."
"I found the twists in the story very entertaining and really did not see them coming, which is always a fantastic treasure find when you read a lot." 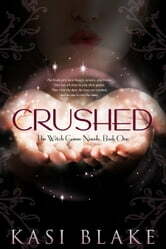 "Crushed lived up to my every expectation." "I feel the characters are well developed and easy to relate to, which makes for an enjoyable read. I really loved this book." "If you want a great book of magic, popularity, and magic, read this book. You will adore the bad boy Zach, see the envy of the sisters, and learn that dark magic just creeps around the world. I give it 5 Bites." ***I received a copy of this book in exchange for an honest review. *** I'll start by stating that the characters start out a little cliched at the beginning. You have your popular girl who rules the school and you have your typical bad boy who's secretly not horrible. Oh and they hate each other, or that's what they think. I'm glad to say that as the book progresses, their cliched personalities get left behind. They develop into their true characters, who have motives and things that influence their actions. I felt at times, though, that Kristen was a bit bipolar. Her and Brittany both act that way, actually. One moment they could be putting up with each other, and the next they could both be swapping insults and threats. They were like this before the troubles in the book made it justifiable. On the other hand, there were many aspects of this book that I truly did enjoy. At first I felt sorry for Morgan, then I grew suspicious, and then I knew her for the character that she truly was. Although I didn't like her character, I certainly admired how well she had everyone completely fooled. Zach was definitely one of my favorite characters because you can tell he cares for his sister and tries his best to protect her and take care of her. He has an intensity about him, especially at the beginning where you can almost feel how he feels, particularly his anger and disgust. The other part I really loved was the mystery behind Brittany's actions and what Morgan's story and motives are. There is a huge tangle of lies in this book that get unraveled one by one as the book progresses. It all developed at a steady rate and had a satisfying ending. Crushed get 4/5 Platypires!